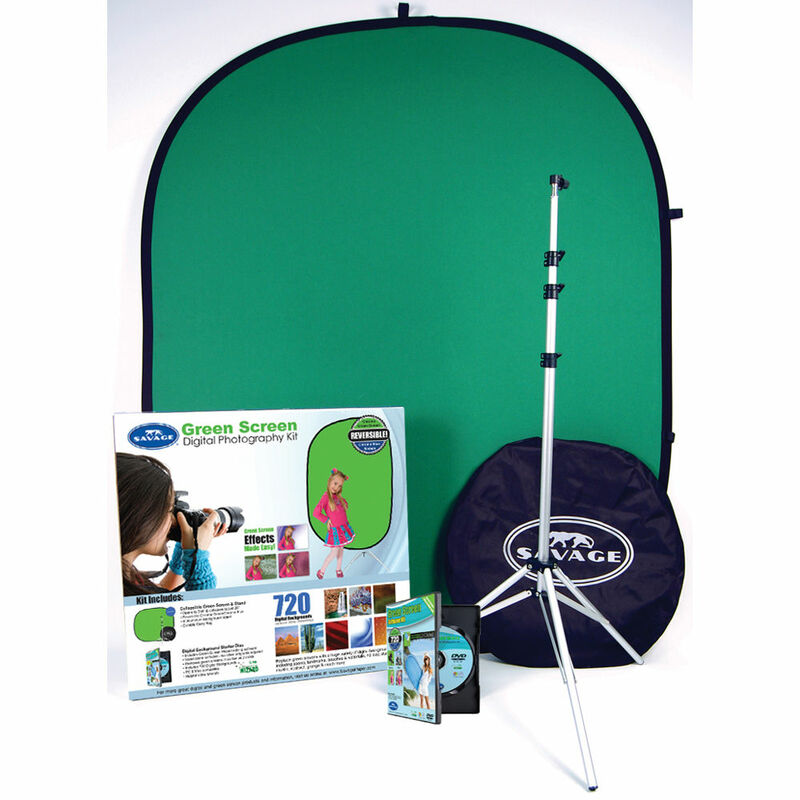 The Digital Photography Kit from Savage contains everything you need to set up your own mini studio where you can create innovative and intriguing images. Nothing could be simpler. The backdrop is 60 x 72" - more than enough for a good head shot or full length shot of a child. When not used, it reduces to 1/3 its size making it easy to transport in the included carry bag. The kit also includes an 8' aluminum background/light stand. Use this item to hold the background or light - whatever you need to get the shot. The Digital Background Variety Pack features 720 different themed backdrops from which you can choose to drop into your image. They are sized to 2400 x 3000 pixels. Take your photo and using the enclosed Photoshop, change the backdrop with the click of a mouse. The software is both PC and Mac compatible. There is also a trial version of Adobe Photoshop Elements 9. Using this software allows you to easily drop in or remove your background. Box Dimensions (LxWxH) 29.0 x 29.0 x 4.0"
Digital Photography Kit is rated 4.5 out of 5 by 2. Rated 5 out of 5 by MATUREFUN from it works well and love it It works very well and you can change back ground any time.